In anticipation for her new bundle of joy, Amanda from Love & Renovations just gave their nursery a makeover! 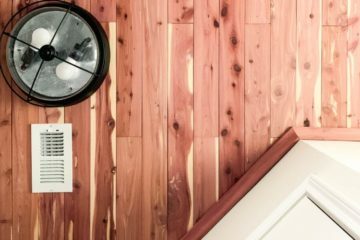 Cedar is a great, all-natural alternative to wallpaper or boring paint, and you don’t have to worry about airing out the room after you paint to avoid exposing children to toxic fumes – cedar has a wonderful, fresh aroma! In addition, cedar is a green way to resist and repel cockroaches, silverfish, moths, and mildew! Amanda started out measuring and finding and marking the studs. 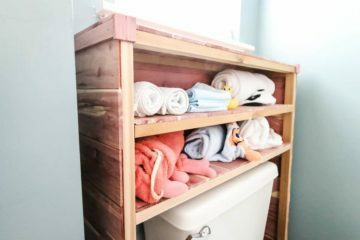 Then she moved on to the fun part – install the cedar planks! She went for the tongue & groove planks, but we also manufacture a shiplap style and a flakeboard style – find whichever works best for you! 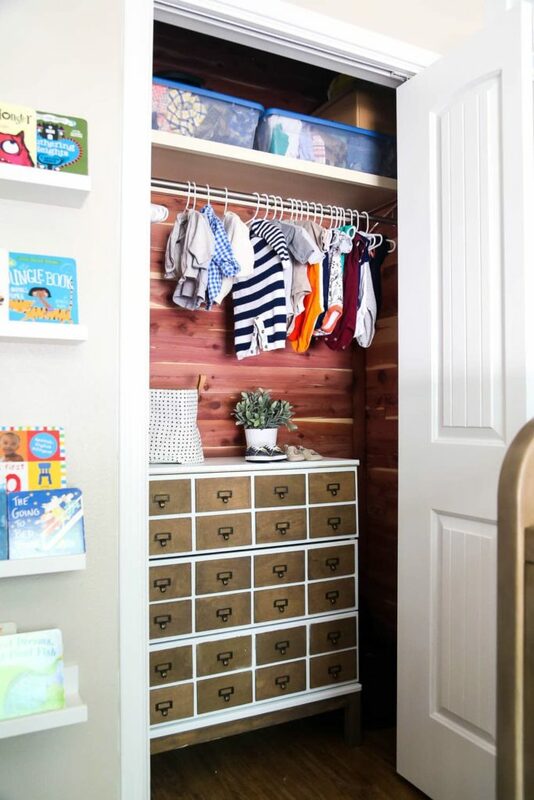 Amanda from Love & Renovations gave her nursery closet a fresh new look! 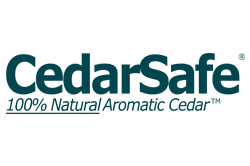 What makes CedarSafe unique and different is the type of cedar we produce – Aromatic Eastern Red Cedar. Besides its bug-repelling benefits, it’s beautiful, smells delightful, and is super easy to install and maintain. If your cedar smell starts to fade, just give it a light sanding and/or apply a light coat of cedar oil on top and – viola! – it’s as good as new. Now, Amanda used a nail gun, a miter saw, a magnetic level (which now we have our eye on, it looks so easy!) and some gutsy DIY-er spirit. Amanda was able to finish the entire closet in one afternoon – at 9 months pregnant – so don’t get discouraged if it seems daunting. 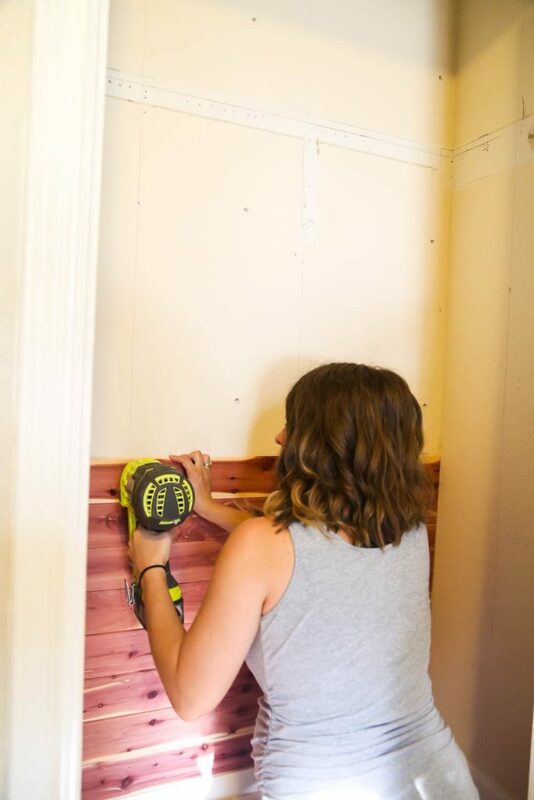 She didn’t do this step in her project, but we also recommend some wood glue – this will help cement the boards in place, and will help with future stability! 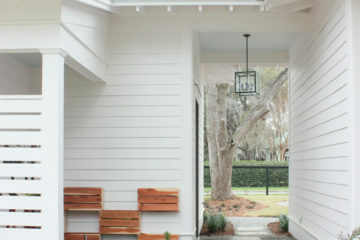 The final project is beautiful, and we’re so excited and happy for Amanda and her husband. Thanks for the awesome collab!